The role of the Altar Boy remains a genuine and vital one in the Eucharistic Assembly of the faithful, as well as in other services. He stands ready to serve God in this capacity. It is a stewardship of young men; a service that they offer to God as their regular Sunday offering of talent and ability. 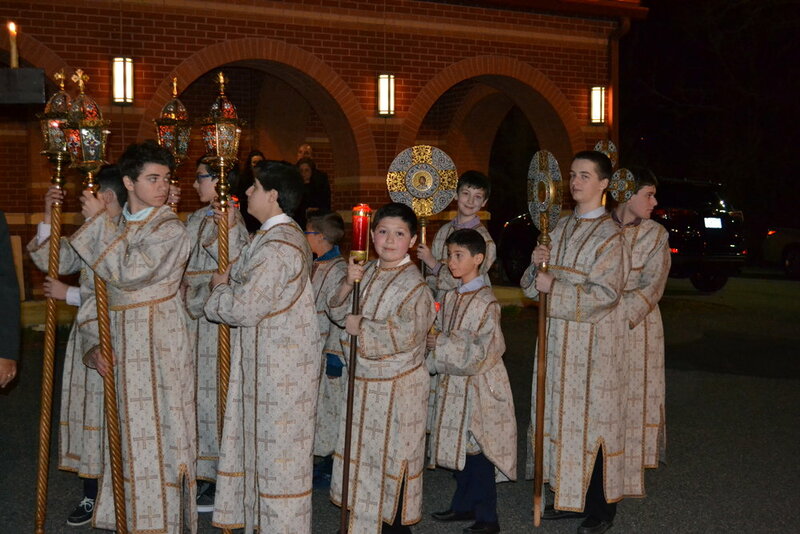 In serving our Lord, Altar Boys are able to build off the true form of teamwork and servitude. Please encourage your son, grandson, father or grandfather to help serve Christ through this wonderful opportunity.